Imagination Hunt: What is Blockchain? This is the common assumption that the most of the people think of blockchain as the technology that power bitcoin. While this was its original purpose, blockchain capable to do much more. despite the sound of the word, there's not just one blockchain. 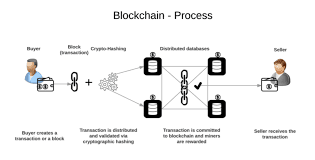 The blockchain is process for a whole suite of the distributed ledger technologies that can be programmed to record and track anything of value from land or property deal, financial transition, and even medical records. Reason 1: The way it tracks and stores data. 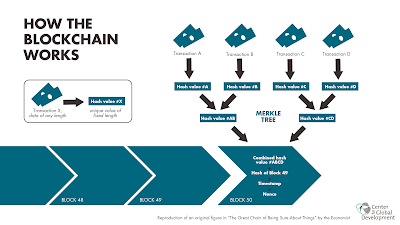 Blockchain stores information in batches, known as blocks, that are linked together in a proper order to form a continuous line, a chain of blocks. 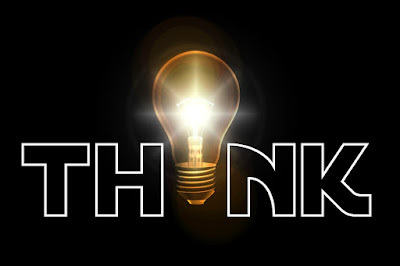 If you make a change to the information stored in the specified block. You don't rewrite it instead, the change is stored in a new block showing that x changes are made at particular time and date. It's is a non-destructive way to track data changes over the period of time. Here's one example. Let's say there was a dispute between Tony Stark and Capt. America over who found a piece of Tesseract cube that been in the shield for years because blockchain technology uses the ledger method, there is an entry in the ledger showing that Capt. first found the cube in 1942. Later on, cube passed to another person but particular date and time are stored. Now, here's where things get really interesting. Unlike the age-old ledger method specifically a book. The blockchain is designed to be decentralized and distributed across a large network of computers. This decentralizing of information reduces the ability for data tampering. Reason 2: It creates trust in the data. Before a block can be added to the chain, a few things happen. First, a cryptographic puzzle must be solved thus creating a block. Second, the computer that solves the puzzle shares this solution to all the other computer in the network, this is known as the Proof of work. Third, the network will then verify this proof of work and, if correct the block will be added to the chain. Reason 3: Blockchain technology is such a game changer that No more Intermediaries.